Via, Villa, Contrada.....??? What's the difference here in Le Marche? 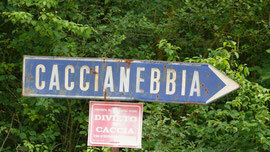 There is an old house just up from our gate with "Villa Caccianebbia" written on it. I assumed for a long time that it was the name of the house but I have since understood that it's there as the name of the street. A villa was a group of houses, lived in by diverse families but not owned by them, that sprang up in the countryside near a village and which usually took its name from the ruling family. A contrada was (still is) part of the local countryside which took its name from the characteristics of the terrain, or from events that happened there or from the saints which the local inhabitants worshipped for some reason. 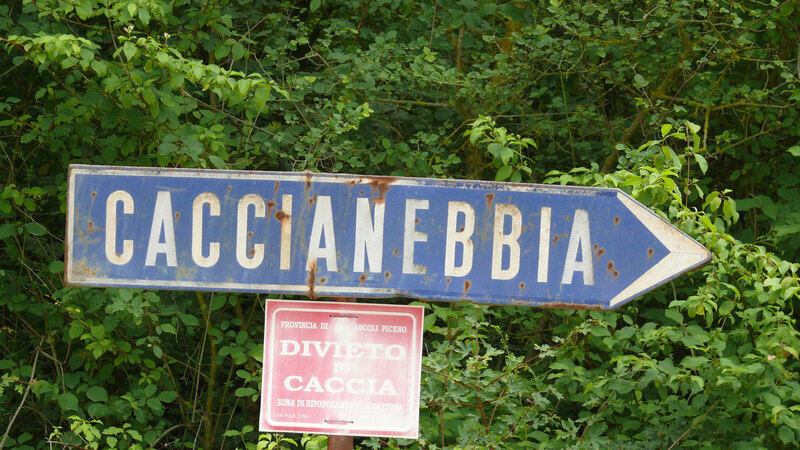 In our case, "Caccianebbia" was not the name of a ruling family. It is where Blessed Antonio sent the fog to confuse the soldiers who had come from Sarnano to capture Amandola. They became lost and frightened and ran off home. It means "hunting fog".